This set of six dessert spoons is Old English pattern, Hallmarked for St Petersburg, 1872 (calendar year, unlike British hallmarks), and 84 zolotnik standard (87.5%) or 875/1000. They are by J.L, a master known to have been active between 1872 and 1875, but not yet identified. 282 grams in total. 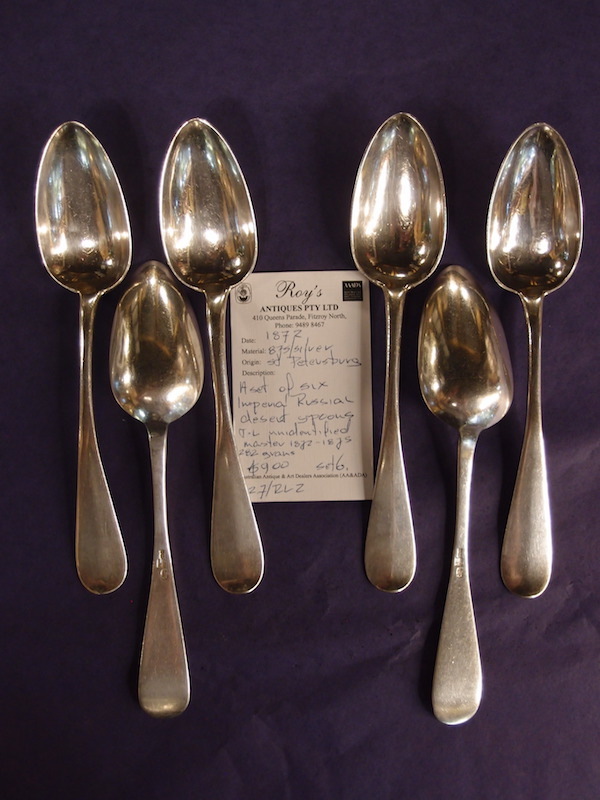 Each spoon is 18 cm long.